Hi everyone - today's freebie is a flower topper to which you can add your own embellishments. Here is a beautiful card made by my friend Annie using the template. Check out Annie's Blog to see more of her amazing creations. You can download the template from the links below but please take a moment to leave a comment if you do. What a beautiful frame, the card shows it in the best possible light, delightful. Thank you so much. 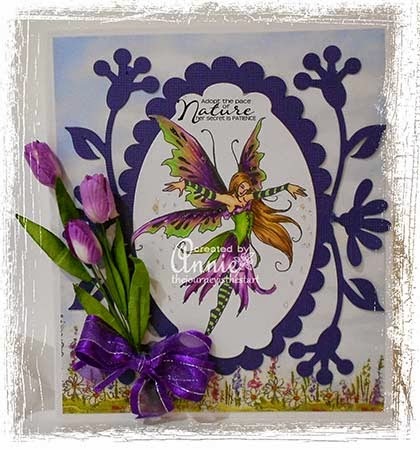 This is a gorgeous frame and Annie did a wonderful job demonstrating it with her beautiful card! Absolutely beautiful.............thanks for sharing your wonderful talent! Oh! 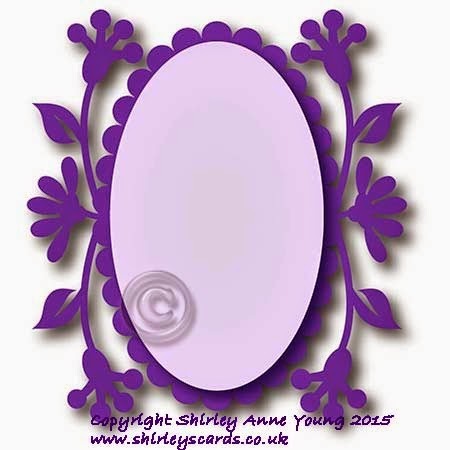 this is beautiful Shirley and Annie's card shows just how clever you are to design something like this. Beautiful Frame, Thank you so much. Gorgeous frame. Thank you very much. I could see this cut out in two shades of a colour, the frame in the darker colour and the side flowers in the lighter colour. Thank you Shirley. This is a beautiful frame. Thanx so much, Shirley for the absolutely gorgeous frame. Thank you for sharing - love it! I am new to this world of cutting files. I appreciate your artistic talents! very very beautiful card ! Thank you Just what I was looking for, for an etching project. I'll let you know how it goes. Thank you a fun idea.